“Using Social to Make the Sale” is Part 2 of the blog series “Social Media in Technology: A Unified Strategy for Success.” In this blog post, we look at how tech companies are using social to improve their sales. View Part 1 on recruitment here. 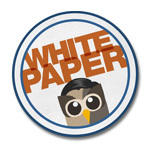 To learn more about how tech companies are using social media, download the white paper that accompanies this blog series. Businesses in every industry need to integrate social media throughout their entire enterprise. Though technology companies are active on social, individual departments don’t often practice company-wide sharing of social media strategies. As a result, potential business benefits offered by social media are lost. To mitigate these losses, expanding adoption of a social relationship platform outside of marketing is essential. This will help ensure that businesses can use social media to deliver broader business goals. Because social has fundamentally changed the way people do business, it’s time for Sales departments to take advantage of the potential business benefits of using Social Media. HootSuite is on the front lines of the rise of the social business and as a result we want to share the insights of HootSuite’s key leaders with you. In Part 2 of our “Social Media in Technology” blog series, we will focus on how social is helping the Sales department close deals – including insights from HootSuite’s CEO Ryan Holmes. With the onset of social media there has been a fundamental shift in the way people buy goods and services in an online world. The conversation between business and customer has changed. Buyers are now better informed and better connected than ever before prompting the need for a strategic response from sales organizations. Decrease the length of your sales cycle. By being active on social, it provides the opportunity to ﬁnd potential buyers on social networks and starts the conversation with the prospects when they are actively looking to buy. Establish trust with your potential buyers. If your business is seen as an industry leader, you establish credibility and trust from prospects. Your online presence is your first impression. Establishing that you have knowledge and experience in your industry will greatly influence your prospective buyers reaction to your outreach. Increase the opportunity to engage with prospective buyers. Collaborate with your marketing team to create content that resonates with prospective buyers. Receiving high quality targeted content from your marketing department, allows your sales team to publish content that builds credibility. Social media can be a great resource for gaining unique insights into leads that can help you make more impactful first contact. Last year, for example, we landed a new corporate client thanks in large part to Twitter. After following one of the client’s decision makers on the social network for months, one of my sales reps noticed that the executive always tweeted passionately about his love of McDonald’s seasonal McRib burger. So when the rep eventually decided it was time to reach out and make contact, he used their mutual passion for the menu item as an icebreaker in an email (writing in the intro something along the lines of “It’s McRib season again. . . .”). Talk of his favorite sandwich really grabbed the exec’s attention. He responded, leading to more exchanges and eventually a major sale. And social media isn’t just for icebreakers. This kind of investigating can also be used to uncover crucial information on businesses, enabling salespeople to optimally time their outreach. Social media can be a major asset in getting people to be more receptive to you. For instance, another rep at HootSuite recently fused old and new techniques to land a meeting with a huge potential client. He first came across an article in the Boston Globe about a new initiative being launched by a major communications company. The article happened to mention the C-level executive who was leading the initiative. After a quick search on LinkedIn, the rep discovered that he had a first-level connection in common with the executive. He referenced the mutual connection as he reached out, and amazingly, heard back in 30 minutes. Had our rep tried the traditional route of calling or emailing, it’s unlikely he would have received such an immediate response—or any response at all, for that matter. None of this, of course, is rocket science. A warm referral is known to increase the odds of sales success by 200 to 400 percent. What’s new and powerful here is leveraging social media to transform a cold referral into a warm one. There is nothing more tragic than a lost opportunity in sales. Our sales reps have found one easy way to avoid them—working with departments (other than just marketing) to gain valuable intel. For example, one of our customer support reps recently spotted somebody on Twitter complaining about a unsatisfactory sales demo they’d just had with one of our major competitors. She immediately blasted the message over to a sales manager, using our internal tasking tool. The manager took it from there, looking up the tweeter’s professional information on LinkedIn and then tracking down his contact information. This all ended up becoming a promising new opportunity worth tens of thousands dollars. Oftentimes clients are pleased to hear from us in this way, and to be offered a potential solution to their business problem. Social media-assisted selling isn’t just happening at my company. 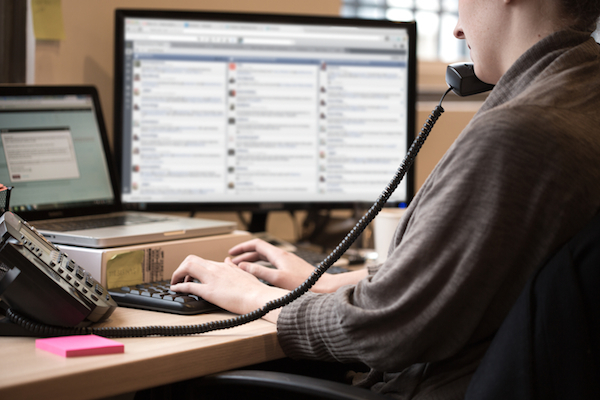 More and more salespeople in both large and small businesses are adopting social media. Last year for example, IBM reported that they saw a stunning 400% surge in their sales after implementing their social selling pilot program. In the future, the most successful technology companies be the ones who use social media as a part of their overall business strategy.